I’ve been having a lot of fun with my kindergarten friend that I watch in the mornings before school. 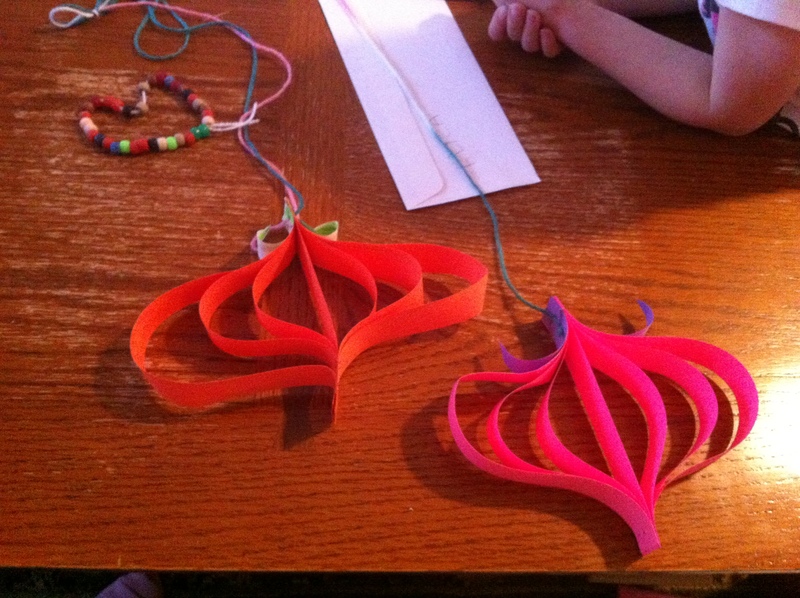 Today we made paper pumpkins (which will probably be my only halloween decorations this year bah humbug!). I drew the lines on the paper and let her cut them out. It is really good for kids this age to cut things out since it really helps their fine motor development. She did great at putting them all together at the bottom but the top was a little tricky and I helped her get the strips together to staple. I learned about this project from Rebekah’s Blog. She is doing a 31 day challenge and is posting something fun to do with kids every day this month. They made bead necklaces too but we already did that. We actually do that a lot since it is so fun and there are so many different beads!